This is not an easy post to write, but it is one that I have been thinking about for a very long time. I respectfully submit my opinion, and would like to make it clear that I am not targeting anyone or any organization with this post, and I hope no one takes it personally. There are sofrim, including well meaning ones, who sometimes appear to be ignorant of some of the basic halachos of writing STA"M. Even here in this forum, without mentioning any specific cases, I occasionally notice posts or comments that indicate the author's ignorance of very basic halachos. I am not sure exactly what the source of the problem is, but I think the solution is simply that sofrim need to learn the Kesses Hasofer (including the Lishkas Hasofer, of course), and review it again and again. Additionally, I think that in many cases, learning other seforim on writing STA"M may take away from the knowledge of the halachos, as people seem to get confused or distracted from the basic halachos as brought down in the Kesses Hasofer. I also think that it is unnecessary to additionally learn the Mishna Berura (Mishnas Sofrim, etc.) on writing STA"M, and I am unsure as to why that is a requirement by some who grant kisvei kabbalah (even though I do think it's a good idea to learn that once proficient in the Kesses Hasofer). I have discussed this with some very respected sofrim who were in agreement with me in that the Kesses Hasofer (including the Lishkas Hasofer, of course) is ALL that is necessary to learn in order to be a proper sofer, and that often learning other seforim on writing STA"M distracts from focusing on the knowledge in the Kesses Hasofer. My main point in this post is that sofrim, no matter how experienced, need to study the Kesses Hasofer again and again and again! Yishar Ko'ach on your post. I very much agree with your sentiments about learning the original halachot properly - too many sofrim get caught up in other works, which often lead them to either understand incorrectly, mis-prioritise or just plainly miss important halachot. Your main point "sofrim need to study Kesses HaSofer again and again and again" cannot be overstated. But I do disagree about the "Keset Hasofer is ALL you need" aspect. It's true that Keset HaSofer is the seminal work in STa"M and definitely should be learnt well. It's also true that it's probably an irreplaceable work for a sofer to learn from with respect to practising as a sofer. BUT - STa"M is an area of halacha much like any other. In that respect I think it's crucial to treat hasmacha the same way as in other areas - by learning the halachic works that have been accepted by Am Yisrael - Shulchan Aruch (starting before with Tur/B"Y for those more advanced) including the poskim and when it comes to tzurat ha'ot and hilchot tefillin that means Mishna Berura because that has become accepted as (at least the standard) halachic psak reference for Ashkenazi Jews. Keset HaSofer and Lishkat HaSofer represent one psak. Albeit, arguably the standard accepted psak for STa"M - but even in other areas of halacha, would you tell someone that for semicha all they need to learn is basar b'chalav from the mechaber and forget about the shach, taz, PMG, REA and the other main poskim? Granted, there's a difference between someone learning for semicha just for ketiva and someone learning for hagaha or to pasken. Ketiva may not require the depth of knowledge in the acharonim as hagah would, but still - there are differences in psak between Keset Hasofer and others. I think that as a minimum, what Mishmeret STa"M have is a good start. Keset Hasofer + S"A/M"B and for hagaha also mikdash me'at. If we say that those are the foundations then back to your original point - sofrim should learn those very very well before getting "lost" in other texts. Again - to reinforce and commit to the original halachic texts - absolutely vital. But I just have an issue with "ALL you need is keset hasofer and nothing else". While Keses Hasofer the "basic handbook" for sofrim (and always has been), it is by far insufficient to gain the vast amount of knowledge needed to be boki in the laws of stam. It is considered the kitzur shulchan oruch of stam. You cannot become a boki from learning kitzur. Furthermore, there are many basic halochos which are omitted from kesses. 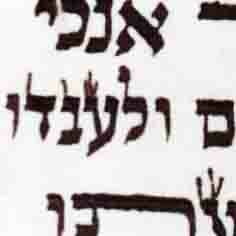 These include halochos which result in open psulim if the sofer is ignorant of them. many of tehse halochos are sourced from shulachan oruch and other places which take precedence. To learn just kesses hasofer as a be all and end all is very dangerous. its like someone reading a high school biology textbook and then practicing medicine. I agree with R. Eli and R. Ari. Keset Hasofer is very important as a base text, but it isn't always the halacha l'ma'aseh and there are omissions and many different opinions. Much of Keset itself was derived from R. Landsofer's B'ney Yonah, which is also important. 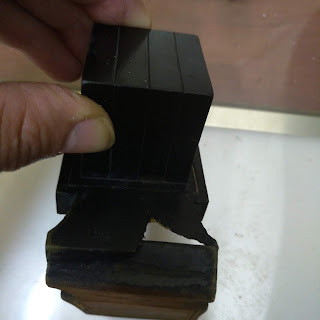 Shulchan Aruch is takes precedence and Mishnah B'rurah for Tefillin is vital. Mishnat Hasofer is indeed indispensable in understanding and applying Keset (Ot Y'tsiv is also good for cross references), but I have also found Otser Stam, Yeriat S'hlomo (for Sefardim), S'fakot Hasofer very useful. Other colleagues also mention D'at K'doshim which I have but do not reference as much. Sefer Or hamelech and Or ha'ot are also valuable for specific points. I have many other books that I consult and there are many I have seen listed that I just do not have access to. I would be a much poorer Sofer if I had merely stayed with Keset and not be aware of stringencies and leniencies that other poskim bring that one may need to rely on. In terms of even just tsurat ha'otioyot, the Yalkut Tsurat ha-otioyot collection from Mishmeret StaM just shows the wide variety of opinions. However, the basic premise is right (indeed the reason why R. Ganzfried wrote the text in the first place was that he was concerned at the lack of knowledge amongst sofrim - see his introduction) and a sofer should always be learning and revisiting his knowledge. Indeed R. Eliezer Adam made that a focus in his books such as Chok L'sofer with a diarised learning schedule. A strong foundation is needed but Keset is certainly not the only source of this. 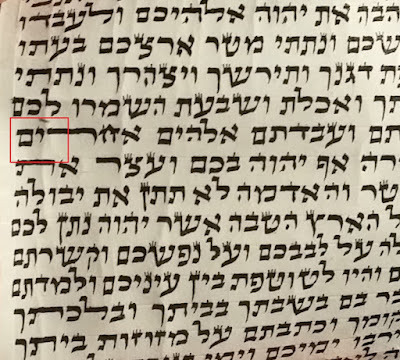 I understand that the most important thing for a sofer to know are the "modern" poskim, most notably the Mishna Berura and Keses Hasofer, as well as Mishnas Hasofer, etc., but does it bother anyone else how little sofrim know the sugyos in Hakometz Rabba and the rishonim on these inyanim, such as the Rambam, Rosh in Halachos Ketanos, Meiri in Kiryas Sefer, etc.? Not to mention the Tikkun Tefillin, Baruch Sheamar, and Alpha Beisa! Many sofrim speak as if there was never a sofer before the Keses Hasofer and that many communities in Klal Yisroel were ignoramuses, when really they were paskening like gedolei 'olam ויסודם בהררי קודש! What really irks me is that people think that they know what they are talking about because they have read the Keses Hasofer and go around passelling the סת"ם of entire communities of fine, ehrliche Jews. Avi, I agree. Learning the associated gemorah sugyos and rishonim is vital. In my opinion, besides for kesses, the following is also vital. R. Avi and R. Eli, indeed - I think we've just about covered off a whole bibliography :) Certainly all very important texts. Kol Sofrim very useful. D'varim Shebichtav - indeed the whole contents of Likutey Sifrey Stam Vols 1 and 2 are in effect a base curriculum and Mishnat Hasofer by Rav Stern is as you say a must. From what I understand Keset has such a prime place because R. Ganzfried was a shrewd businessman and recognised the importance of the Chatam Sofer's haskamah such that he made a ‘two hundred mile journey to Pressburg to meet the revered master’ and collect it personally after rather than writing to him (Rabbi Shlomo Ganzfried - His Kitzur and His Life, Jack E. Friedman, Jason Aronson Inc. 2000 p48-49). Because the Chatam Sofer writes: I impose on all my students who are obliged to obey me the requirement that, from the day Keset Hasofer is published, they will grant neither permission nor a certificate of authorisation to any sofer, except to those who have mastered this book and are familiar with its (details) ... a sofer not well versed in this book shall be separated from his craft - it has taken on an importance greater than other key texts, whether this is merited or not. R. Ganzfried apparently employs the same technique for Torat Zevach visiting Rabbi Chaim Halberstam, the Admor of Sanz in Sobrancz and ‘happened’ to be carrying ‘with him a work he had written on the laws of ritual slaughter’ (Ibid. p62). Out of interest is there a complete bibliography of all the texts that Sofrim should have access too? There are several at the back of the books but perhaps this forum could put out something? The utter lack of respect and total contempt that you display here for Harav Hagaon Rav Shlomo Gantzfried, Tzatza"l, again and yet again is horrifying. After all is said in the above posts I fail to see where a sofer that is fluent in keses would go wrong, a Rav can be contacted for questions that need leniency. Perhaps if we would purchase stam only from sofrim that have KABALA BETOKEF,we would be spared a lot of anguish.